Political misperceptions and their causes: Suggestions for research. DOC-RI Expert Comment, December 5, 2018 (co-authored with Jurgen Grote). Farewell to agriculture? Productivity trends and the competitiveness of agriculture in Central Asia. - DOC-RI Expert Comment, October 11, 2018 (co-authored with Behrooz Gharleghi). Regional cooperation for structural economic transformation towards sustainable development in the SPECA region. Economic Forum, Almaty, Kazakhstan, September 20-21, 2018. SPECA/EF/2018/2. Changes in the geographical structure of trade in Central Asia. - DOC-RI Expert Comment, September 17, 2018 (co-authored with Behrooz Gharleghi). Macroeconomic policies for inclusive growth in Southern countries. A new DOC research project, August 28, 2018. Why do some countries have more billionaires than others? Explaining variations in the billionaire-intensity of GDP. DOC-RI Expert Comment, July 24, 2018. Accelerating Growth and Reducing Inequality: Trends and Policy Approaches. Working Paper commissioned by the Group of 24 and Friedrich-Ebert-Stiftung. New York, July 2018 (co-authored with Jomo Kwame Sundaram). Paradoxes of happiness. Why do people feel more comfortable with high levels of inequality and high murder rates? DOC-RI Expert Comment, June 18, 2018. Mortality and life expectancy in post-communist countries. What are the lessons for other countries? A concept note for a new DOC research project, June 5, 2018. The gendered effects of foreign investment and prolonged state ownership on mortality in Hungary: an indirect demographic, retrospective cohort study. - The Lancet Global Health, Vol. 6, No. 1, e-95-e102, January 2018 (co-authored with 13 authors). Does Russia Need an Inflow of Foreign Capital? Or Does It Need to Rely on an Export Oriented Growth Model, Based on Domestic Savings? - DOC-RI Expert Comment, Sept. 15, 2017. Are Developing Countries Catching Up? - Cambridge Journal of Economics, 2017 (co-authored with K.S. Jomo). 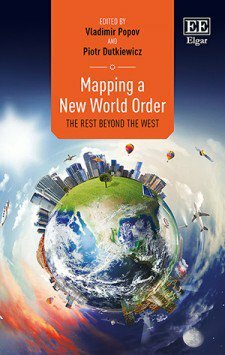 Mapping a New World Order. The Rest Beyond the West. Edited by Vladimir Popov and Piotr Dutkiewicz, Edward Elgar, 2017. What is so new about the emerging world order?- Edward Elgar Blog, July 13, 2017 (co-authored with Piotr Dutkiewicz). Book presentation at DOC-RI, Sept. 8, 2017.
Review in Welt Trends, 134, Dec. 2017, pp. 62-63 (in German). Review in Hungarian Geographical Bulletin, №18 2018 (3), pp. 293–305. The effect of rapid privatisation on mortality in mono-industrial towns in post-Soviet Russia: a retrospective cohort study. - The Lancet Public Health 2017 Published Online April 11, 2017 http://dx.doi.org/10.1016/ S2468-2667(17)30072-5 (co-authored with 15 authors). Долгосрочные тенденции в распределении доходов. - Журнал Новой экономической ассоциации, № 3(31), 2016 (в соавторстве с К.С. Джомо). Is Globalisation Coming to an End Due to Increase of Income Inequalities? - MPRA paper №73094 , August 2016. Mortality in Transition: Study Protocol of PrivMort Project, a Multilevel Convenience Cohort Study. - Irdam et al., BMC Public Health, (2016) 16:672, (co-authored with 15 authors). Валютный курс, инфляция и промышленная политика. - Журнал Новой экономической ассоциации, №1 (29), 2016 (в соавторстве с В.М. Полтеровичем). What Uzbekistan tells us about industrial policy that we did not know? - MPRA paper 67013. October 2015 (co-authored with Anis Chowdhury). DESA working paper No. 147. February 2016. Разрыв между Югом и Западом по уровню экономического развития сокращается? - MPRA Paper No. 65924, August 2015. В поисках новых источников роста. Догоняют ли развивающиеся страны развитые? - Вопросы экономики, №10, 2015. Catching Up: Developing Countries in Pursuit of Growth. MPRA Paper No. 65878, August 2015. Income Inequalities in Perspective ESS – Document No. 46, INITIATIVE FOR POLICY DIALOGUE (IPD), COLUMBIA UNIVERSITY, INTERNATIONAL LABOUR OFFICE, GENEVA, April 2015 (co-authored with Jomo Kwame Sundaram). Also published by IDEAs, May 2015. Also published in Development, Vol. 58, No. 2-3, 2015. Short version: IPS, May 13, 2016. Transformation strategies (in German). Transformationsstrategien. - Handbuch Transformationsforschung. Ed. 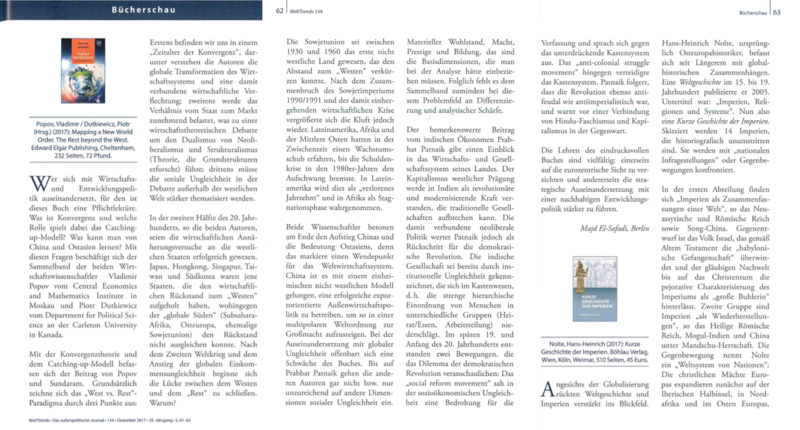 by Raj Kollmorgen, Wolfgang Merkel, Hans-Jürgen Wagener.2015, pp. 741-747. Can Uzbekistan Economy Retain Its High Growth Rate? Scenarios of Economic Development in 2015-30. - PONARS Eurasia working paper, December 2014. Сохранит ли экономика Узбекистана высокие темпы роста? Сценарии развития в 2015-2030 гг. - PONARS Eurasia Working paper. Декабрь 2014 г.
Журнал Новой экономической ассоциации, № 3 (27), 2015. Сценарии экономического развития Узбекистана в 2015-30 гг. - Эффективное использование социально-экономического потенциала и привлечение новых источников экономического роста. Ташкент, IFMR, 2014. Промышленная политика – как определить отрасли, которые надо поддерживать. - Журнал Новой экономической ассоциации, №2 (22), 2014. 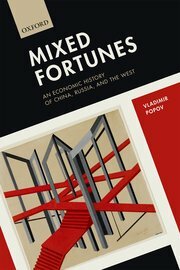 Mixed Fortunes: An Economic History of China, Russia and the West. Oxford University Press, April 2014. 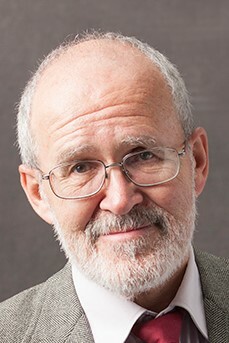 Grzegorz W. Kolodko. WHAT ONE SHOULD READ? June 20, 2014. Что стимулирует стремительный экономический рост. - Обсуждение в ВШЭ, 29 сентября 2014 г.
Рецензия К. Галеева. - Вопросы экономики, №11, 2014 г. Reviewed for EH.Net by Tuan-Hwee Sng, Department of Economics, National University of Singapore. December 2014.
Review by B. Milanovic for the Journal of Economic Literature, Dec. 2014 (Vol. 52, Issue 4). Рецензия Е. Балацкого -Мир России, №2, 2015.
Review by M. McLure in Economic Record, Vol. 91 (293), June 2015. Рецензия В. А. Мельянцева. - Мир перемен, №3. 2015 г. Review by B. Islamov in Acta Slavica Iaponica, Vol. 37 (2016). Socialism is dead, long live socialism! - MPRA Paper No. 54294, March 2014. Whither Income Inequalities? - MPRA Paper No. 52154, December 2013 (co-authored with Jomo Kwame Sundaram). Chinese translation: International Social Science Journal (Chinese edition), 2017 ( Vol. 34), No. 4. An Economic Miracle in the Post-Soviet Space: How Uzbekistan Managed to Achieve What No Other Post-Soviet State Has. MPRA Paper No. 48723, posted 31 July 2013. PONARS Eurasia working paper. August 2013. Экономическое чудо переходного периода: как Узбекистану удалось то, что не удалось ни одной постсоветской экономике. PONARS Eurasia working paper. Август 2013г. Самая полная версия: "Журнал Новой экономической ассоциации", № 1 (21), 2014. Transformational Recession. In: Handbook of the Economics and Political Economy of Transition. Edited by Paul Hare, Gerard Turley. Routledge, 2013. Transformational Recession .The Oxford Handbook of the Russian Economy (Oxford Handbooks). Ed. by Michael Alexeev and Shlomo Weber. Oxford University Press, 2013. The Economic Situation in Present Day Russia. In: Russia after 2012: From Putin to Medvedev to Putin – Continuity, Change, or Revolution? Edited by J.L. Black, Michael Johns, Routledge, 2013. Почему Запад разбогател раньше, чем другие страны и почему Китай сегодня догоняет Запад? Новый ответ на старый вопрос. - "Журнал Новой экономической ассоциации", №3 (15), 2012. Coping with External – Capital and Current Account – Shocks. G-24 Policy Brief No. 70, 04/06/2012. Russia: austerity and deficit reduction in historical and comparative perspective. - "Cambridge Journal of Economics", Vol. 36, January 2012, pp. 313-334. Надо ли защищать права на интеллектуальную собственность. – "Журнал Новой экономической ассоциации", № 11, 2011. Exchange Rate in the Resource Based Economy in the Short Term: The Case of Russia. - "IUP Journal of Monetary Economics", Vol. IX, No. 3, August 2011. Why transition economies did worse than others in 2008-09 recession? MPRA Paper 32388, August 2011. The Russian and Chinese Transition in a Wider Perspective. - In: 20 years of Transformation: Achievements, Problems and Perspectives. Ed by Grzegorz W. Kolodko and Jacek Tomkiewicz. Nova publishers, 2011. Издательский дом Высшей школы экономики. МОСКВА, 2011г. Bridging the Gap: A New World Economic Order for Development. - In: Aftermath. New Global Economic Order. Ed. by C. Calhoun and G. Derluguian. NYU Press, 2011 (co-authored with M. Montes). Developing New Measurements of State Institutional Capacity. PONARS Eurasia Policy Memo No. 158, May 2011. MPRA Paper 32389, August 2011. Do We Need to Protect Intellectual Property Rights? - CEFIR and NES working paper #161. February 2011. To devaluate or not to devalue? How East European countries responded to the outflow of capital in 1997-99 and in 2008-09. - CEFIR and NES working paper #154. January 2011. Also published in "Acta Oeconomica", Vol. 61, No. 3, September 2011. Development Theories and Development Experience. - CEFIR and NES working paper #153. December 2010. Also published in História e Economia - revista interdisciplinar, Brazilian Business School. - v. 8, n. 1, (2011). Макроэкономическая политика для модернизации российской экономики. - Глава в книге "Стратегия модернизации российской экономики". Под ред. В.М. Полтеровича. С.-Петербург, "Алетейя", 2010 (также опубликована в книге «Россия "двухтысячных": Стереоскопический взгляд». Под ред. Генри Хейла и Ивана Куриллы. М.: Планета, 2011, C. 44-77). Global Imbalances: An Unconventional View. - IDEAs, Oct. 19, 2010. Also published at "Iniciativa para la Transparencia Financiera" , lectura 57; and as a CEFIR and NES working paper # 160. May 2010. Resource abundance: A curse or blessing? - DESA Working Paper No. 93, June 2010. Co-authored with V. Polterovich and A. Tonis. Is The Chinese Variety of Capitalism Really Unique? -"Transition", May 24, 2010 (Also published in "Insight", June 2010; IDEAs, October 19, 2010; CEFIR and NES working paper # 156, January 2011). In Chinese: Bi Wensheng. Popov on China's development model. - "Guo Wai Li Lun Dong Tai" (Foreign Theoretical Trends), 2011, No. 1. Mortality Crisis in Russia Revisited: Evidence from Cross-Regional Comparison. - MPRA Paper No. 21311, March 2010; CEFIR and NES working paper # 157, January 2011. The Long Road to Normalcy. Where Russia Now Stands. - UNU WIDER Working Paper No. 2010/13. A version of the paper in "Economies in Transition: The Long Run View". Ed. by G. Roland. UNU-WIDER, Palgrave Macmillan, 2012. A version of the paper in "Russia: the challenges of transformation". Piotr Dutkiewicz and Dmitri Trenin (Eds. ), NYU Press, New York, 2011. In Chinese: Chen Hong. Why Russia Is Becoming a Developing Country? - "Guo Wai Li Lun Dong Tai" (Foreign Theoretical Trends), 2011, No. 2. A Confluence of Circumstances or a Historical Pattern? - "Problems of Economic Transition", Volume 52, Number 8 / December 2009, pp. 45 – 58. Why the West Became Rich before China and Why China Has Been Catching Up with the West since 1949: Another Explanation of the “Great Divergence” and “Great Convergence” Stories. -NES/CEFIR Working paper # 132, October 2009. Full version: Fazhang jingjixue yanjuiu (Study of Development Economics), No.9. 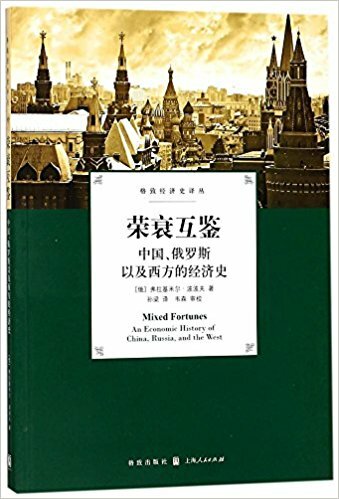 Zhongguo yu eluosi chanye yu jingli fazhan bijiao yanjiu (Comparative Study of Industrial and Economic Development of China and Russia). Center for Economic Development Research, Wuhan University. Economic Science Publisher. Beijing, Dec. 2013. Chen Hong. China's and Russia's transition in broader perspective. - "Guo Wai Li Lun Dong Tai" (Foreign Theoretical Trends), 2011, No. 1. Recovery and Adjustment After the Russian 1998 Currency Crisis. - In: After Crisis. Adjustment, Recovery and Fragility in East Asia. Edited by Jayati Ghosh & C.P. Chandrasekhar. Tulika Books, New Delhi, 2009. Стечение обстоятельств или историческая закономерность? - "Вопросы экономики", № 7, 2009. Lessons from the Transition Economies. Putting the Success Stories of the Postcommunist World into a Broader Perspective. - UNU/WIDER Research Paper No. 2009/15. A version of the paper in "Development Success. Historical Accounts from More Advanced Countries". Edited by Augustin K. Fosu. OUP, 2012. A version of the paper in Portuguese: "Revista Tempo do Mundo", v. 1, n. 1, dez. 2009. A version of the paper in "Society and Economy", Vol. 32, No. 1, June 2010. Instability of Democracy as Resource Curse. - NES Working Paper # WP/2009/…Co-authored with V. Polterovich and A. Tonis. Review of "The Universal Shape of Economic Recession and Recovery after a Shock" by Damien Challet, Sorin Solomon, Gur Yaari.- "Economics. The Open-Access, Open-Assessment E-Journal", February 23, 2009. Shock Therapy Versus Gradualism Reconsidered: Lessons From Transition Economies. - In: Economic Reforms in Developing Countries: Reach, Range, Reason. Ed. by Jose Maria Fanelli and Lyn Squire. Edward Elgar, 2008. Russia. - In: Macroeconomic Volatility, Institutions and Financial Architecture Ed. by J. M. Fanelli. Palgrave Macmillan, 2008 (co-authored with A. Peresetsky). Mechanisms of resource curse, economic policy and growth. NES Working Paper # WP/2008/082 (co-authored with V. Polterovich and A.Tonis). Нестабильность демократии в странах, богатых ресурсами. - "Экономический журнал Высшей школы экономики", т. 12, №2, 2008 (в соавторстве с В. Полтеровичем и А. Тонисом). Life Cycle of the Centrally Planned Economy: Why Soviet Growth Rates Peaked in the 1950s. In: Transition and Beyond. Edited by: Saul Estrin , Grzegorz W. Kolodko and Milica Uvalic. Palgrave Macmillan, 2007. Failed Expectations and Renewed Hopes. Edited by Natalia Dinello and Vladimir Popov. Democratization, Quality of Institutions and Economic Growth. - TIGER Working paper No. 102, Warsaw, July 2007 (co-authored with V. Polterovich). Shock therapy versus Gradualism Reconsidered: Lessons from Transition Economies After 15 Years of Reforms. - Comparative Economic Studies, Vol. 49, Issue 1, March 2007, pp. 1-31. Infrastructure investment and growth: market failures can be corrected by the government. - DOC-RI Website, March 13, 2019. Slowdown of growth in China: Circumstances or choice. - DOC-RI website, January 28, 2019. BREXIT: Are the British elite Up to the task? Four charts to explain why Britain will come back to the EU even if it leaves now. - DOC-RI Website, December 11, 2018. Failure of economics? Or the failure of (some) economists? Why economists often make bad mistakes. DOC-RI website, August 9, 2018. Good and bad GDP: Output fall in transition economies and the dead rat effect. - DOC-RI website, April 13, 2018. China: Leading the Fight Against Global Warming? - DOC-RI website, Nov. 14, 2017. Why Is the United States So Tough on Russia? The Answer May Be in Lenin's Brochure of 1920. - DOC-RI website, July 31, 2017. Why New US Cold War with Russia Now. - IPS, August 13, 2017. Alcoholism Cannot Explain Russian Mortality Spike. - IPS, July 25, 2017. Early Death in Russia. - IPS, July 20, 2017 (co-authored with J.K. Sundaram). Post Soviet Economic Collapse. - IPS, June 6, 2017 (co-authored with J.K. Sundaram). EU - Nationalism and Inequalities. Transition, February 4, 2017. Free Trade's Diminishing Returns. Project Syndycate, August 6, 2016 (co-authored with K.S. Jomo). Is the Russian Economy Finally Tilting East? - The World Financial Review, July-August 2016. The Next Economic Miracle in the Middle East? - Group of strategic vision "Russia - Islamic world". March 2016. Short version - site of Valdai Club . Can Middle East Make Economic and Social Progress? - IPS, August 29, 2016 (co-authored with K.S. Jomo)..
Где будет следующее экономическое чудо? На Ближнем Востоке? - Группа стратегического видения "Россия - Исламский мир" Март 2016 г..
Краткий вариант - сайт Валдайского клуба. Capital Flows, Exchange Rate and Long Term Economic Growth. - IDEAs, January 22, 2016 (co-authored with Anis Chowdhury). What does MDGs Experience Tell Us about SDGs Challenges? - IDEAs, January 18, 2016 (co-authored with Anis Chowdhury). VOX CEPR's Policy Portal, January 11, 2016. Is Russian Economy Finally Tilting East? - PONARS Policy Memo No. 376, August, 2015. In Russian: Все яйца в одной корзине: почему Россия опоздала с разворотом на Восток. - РБК, 10 сентября 2015 г.
Не было счастья, да несчастье помогло. - "Эксперт", №14 (940), 29 марта 2015 г. Will the Russian Economy Accelerate in 2015? ECONOMIC SANCTIONS + FALL IN OIL PRICES + OUTFLOW OF CAPITAL + DEVALUATION = ECONOMIC BOOM? - PONARS Eurasia Policy Memo No. 361, March 2015. Why "Capital in the 21st Century" is a Bestseller. - PONARS commentary, December 9, 2014. How the Soviet Elite Lost Faith in Socialism in the 1980s. - PONARS commentary, November 24, 2014. A Brief Look at Russian Economic Nostalgia and the "Equal Opportunity" vs. "Income Equality" Debate. - PONARS commentary, November 19, 2014. Varying growth trajectories of the West and the South: the role of inequality and institutions. -WIDER Angle Newsletter, August, 2014. Puzzles of Public Opinion: Why Soviet Population Supports the Transition to Capitalism Since the 1980s. - MPRA paper No. 60915, December 2014. “Четверть века после СССР: люди, общество, реформы”. Издательство МГУ, 2015 г. Под ред. Петра Дуткевича. Загадки общественного мнения: почему советское население поддерживает переход к капитализму с конца 80-х годов). MPRA Paper No. 57842, August 2014. Российская экономика после социализма: по существу и в восприятии населения. - Мир перемен, №4, 2014. Why the West Got Rich, Why China is Catching Up, and Why Russia is Not. - Oxford Scholarship Online, June 27, 2014. Development theories and economic miracles. - OUP blog, May 14, 2014. Современная Европа, № 2, 2014. Сайт Новой экономической ассоциации, 8 января 2014 г.
OPEC.ru - Экспертный сайт Высшей школы экономики, 10 января 2014 г.
Краткая версия: "Экономическое обозрение", № 7 (164), 2013 г.
Узбекистан: экономическое чудо переходного периода. - Портал "Экономическая политика", 5 августа, 2013 г.
Узбекистан: уроки политики диверсификации экономики. - Портал "Экономическая политика", 9 августа, 2013 г.
Экономическое чудо переходного периода: как Узбекистану удалось то, что не удалось ни одной постсоветской экономике. – Банки Казахстана, № 9 (195), 2013, с. 37-48. “Because the Chinese growth model became so successful in ensuring catch-up development it has become extremely appealing in the developing world”. - Chapter in: "22 Ideas to Fix the World. Conversations with the World's Foremost Thinkers". Edited By Piotr Dutkiewicz and Richard Sakwa. NUY Press, 2013. Currency Wars: Why Russia and China Are Rapidly Accumulating Foreign Exchange Reserves. - PONARS Policy Memo no. 256. June 2013. In Russian: Валютные войны. Зачем Россия и Китай копят иностранную валюту. ПОНАРС Евразия. Аналитическая записка № 256, Июнь 2013г. On Russian Versus Soviet Performance. No great post-Soviet achievements for Russian civilization – so far. - "Global brief", June 18, 2013. Widening Global Income Inequality. - "Economic & Political Weekly", April 27, 2013 (co-authored with J. K. Sundaram). Is Russian economy likely to become a new “Asian Tiger”? - ISPI Studies, November 2012. Провокационные мысли. - Портал "Экономическая политика", 25 мая 2012 г.
Пот, кровь и институты. -"Эксперт", №19 (802)/ 14 мая 2012 г.
Массовые протесты в Москве: взгляд экономистов. – "Вопросы экономики", № 3, 2012. Вступление в ВТО. Курсовой рычаг останется при нас. - "Эксперт", №46 (779) / 21 ноября 2011г. Повезло с географией, не повезло с элитой. (Leveraging Geography Despite the Anti-Chinese Elitist Sentiment). - "Saldo. Business and Finance in Russia". No. 2, 2011. Лыжи разъезжаются. Почему девальвация рубля неизбежна, а кризис капитализма — нет. - "Русский Репортер", 3 октября 2011, №39 (217). Ударники капиталистических пятилеток. В чем уникальность китайской модели капитализма. - Русский Репортер, 15 (193) 21 апреля 2011г. Четыре ошибки макроэкономической политики (часть вторая). Комментарий на OPEC.RU 16 марта 2011г. Четыре ошибки макроэкономической политики. Комментарий на OPEC.RU 9 марта 2011г. Кризис смертности. Комментарий на OPEC.RU 24 января 2011г. Россия 1990-х: обреченность на падение. Комментарий на OPEC.RU 20 декабря 2010г. Russia’s Mortality Crisis. WILL WE EVER LEARN? PONARS Eurasia Policy Memo No. 127, October 2010. Чтобы хорошо жить, cвобода не нужна?- Интервью газете "Комсомольская правда", 20 июля 2010г. Полный вариант. The Russians are Stressed. - "Global Brief. World Affairs in the 21st Century", June 15, 2010. The Future Role of Central Banks… - "Global Brief. World Affairs in the 21st century". February 19, 2010. Ничего не предопределено? Все поправимо? О книге Г. Колодко "Мир в движении". М.: Магистр, 2009. - "Пушкин", № 4, 2009г. Победный оскал дракона. - «Эксперт» №1 (687)/28 декабря 2009г. Плавающий рубль. Комментарий на OPEC.RU 5 октября 2009 г.
Второе послание президента - что сбудется. Комментарий на OPEC.RU 17 сентября 2009г. Russia and the West. Linking Economic and Foreign Policy. - In: From Putin to Medvedev. Continuity or Change? Ed. by J.L. Black and M. Johns. Vol. 10. Canada-Russia Series. Penumbra Press, Manitock, ON, 2009 (co-authored with P. Dutkiewicz). The Long Road to Normalcy: Where Russia Now Stands. - Global Brief web site, May 25, 2009. Democracy in Today's World. - Review of Polterovich and Popov article "Democratization, Quality of Institutions and Economic Growth" by Li Junsheng. - "Social Sciences Abroad", No. 4, 2009 (in Chinese). What makes the current crisis unique? Is it overextension of financial instruments? - "Transition", April 21, 2009. На те же грабли. Российская экономика может повторить сценарий 1998 года. "Top Manager", февраль 2009г. Memories about the Future: The Second Edition of the 1998 Crisis. - "Russian Analytical Digest", No. 54, February 3, 2009. Chen Hong. Popov on Russia's Economic and Social Development Outlook. - "Guo Wai Li Lun Dong Tai" (Foreign Theoretical Trends), January 2009 (In Chinese). Воспоминания о будущем: второе издание драмы "Кризис 1998 года». - "Журнал Новой экономической ассоциации", №1, 2009. - Полный вариант. Закат плановой экономики . - "Эксперт", № 1 (640), 29 декабря 2008г. Russia and World Financial Crisis. - "XXI Century Business Herald", October 17, 2008 (in Chinese). After 10 Years of Growth, the Russian Economy May Be Losing Steam. - Russian Analytical Digest, No. 48, October 17, 2008. A Curse or a Blessing? What to Expect from a Typical Developing Resource-Abundant State. - PONARS Eurasia Policy Memo No. 32, 2008. Resurgent Russian economy? Putin’s policy without Putin? - "International Journal", Spring 2008. Мор без СПИДа и цунами. - "Эксперт", №19 (608), 12 мая 2008г. Getting better? Or getting worse? Murder rate under Putin. - "EURUS Newsletter", Vol.25 (2) – Spring 2008. Следите за курсом. Какие валютные резервы нужны России? - Политический журнал, № 1 (178) / 21 января 2008г. A Putin policy without Putin after 2008? - "Caijing" magazine (Beijing), Special issue, December 2007. In English. In Chinese. «Пекинский консенсус» против «вашингтонского»: «азиатские ценности» более конкурентоспособны, чем либерализм? - "Прогнозис", № 2(10), 2007г. Почему снижались темпы роста советской экономики в брежневский период. - "Неприкосновенный запас", №2 (52), 2007. RUSSIA REDUX? - "New Left Review", No. 44, March-April 2007 (Tony Wood. Contours of the Putin Era. A Response to Vladimir Popov). Spanish translation (NLR, No. 44, May-June 2007). Chinese translation (Utopia website, June 19, 2007). Norwegian translation (RØDT!, #4, 2007, pp. 48-56). Web page designed with the help of Peter Davis. Updated: March 2019.